Jason Day’s grip took a turn in 2014, a matter of necessity rather than choice. The young Aussie, who turned pro at age 18 in 2006, suffered injuries to his left thumb and wrist early in the 2014 season. 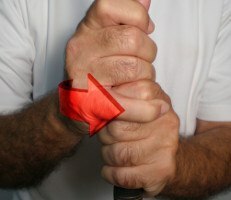 To relieve the pain and pressure caused by the right hand pressing on the left thumb, he rotated his left hand slightly left (toward the target) into a weaker position. Prior to the adjustment, Day’s grip was a little on the strong side, with the back of his left hand pointing slightly upward, rather than directly at the target, at address. This is a pretty common position among modern-day pros as they try to maximize their driving distance. A strong grip can help many amateurs, too. 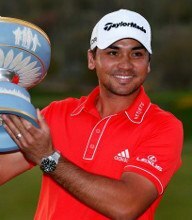 Known for his power but also an excellent putter, Jason Day’s grip with the flat stick is picture perfect. 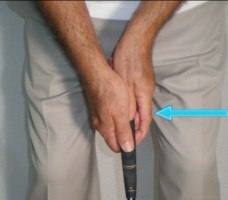 His palms are parallel in a neutral position, the left wrist “un-cocked” or “un-hinged” to prevent excess movement while keeping the forearm and putter face aligned. 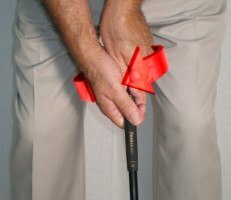 Also worth noting is Day’s grip pressure – it’s extremely light, which prevents tension and enhances touch on fast greens.